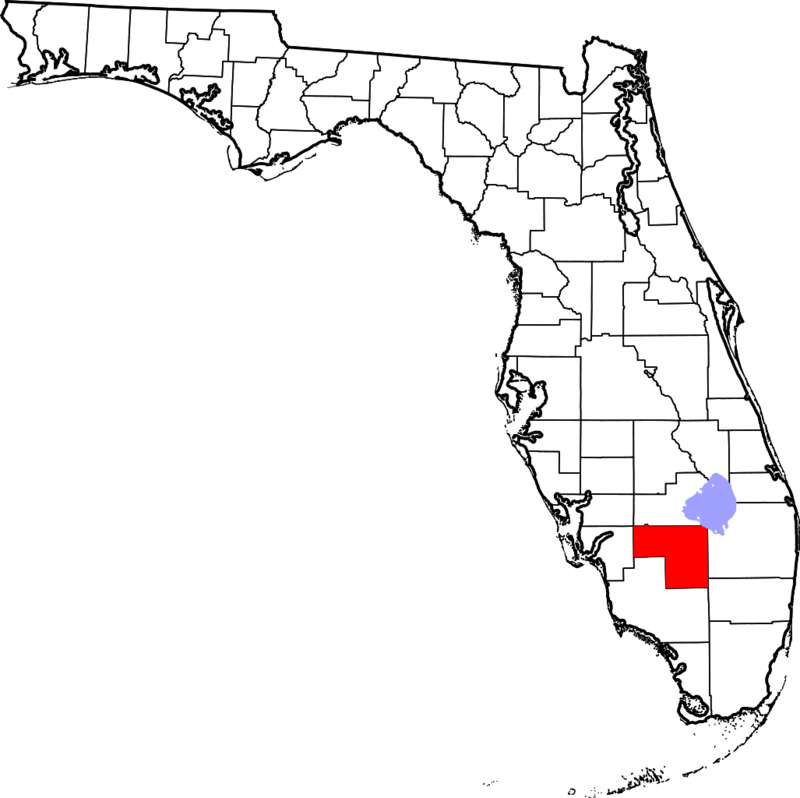 Hendry County, Florida was created from parent county, Lee in 1923. 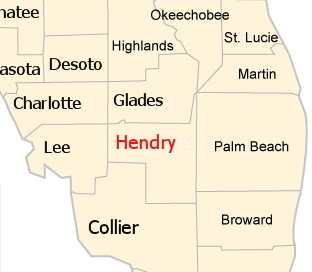 Hendry County borders Broward, Charlotte, Collier, Glades, Lee, Martin, Okeechobee, and Palm Beach Counties. 1914 - Hendry County was created from Lee County. 1887 - Hendry County area was in Lee, Desoto, & Dade Counties, view Map. 1870 - Hendry County area was in Monroe & Manatee Counties, view Map. 1856 - Hendry County area was in Monroe & Manatee Counties, view Map. 1839 - Hendry County area was in Monroe County, view Map. 1838 - Hendry County area was in Monroe & Mosquito Counties, view Map.